OAKLAND, Calif. -- The Golden State Warriors have completed the trade sending two-time All-Star forward David Lee to the Boston Celtics for Gerald Wallace and Chris Babb, the teams said Monday. They agreed to the trade July 7, but Boston needed time to sort out other moves in free agency before acquiring Lee. "We are excited to welcome David as a member of the Celtics family," Celtics general manager Danny Ainge said in a statement. "His proven skill set and experience on a championship team will add valuable depth to our frontcourt and a veteran presence to our locker room." Lee was an All-Star in 2010 with New York and 2013 with Golden State. But he injured his left hamstring in the final preseason game in October and his role diminished with the emergence of Draymond Green, the runner-up for defensive player of the year. Lee played the fewest minutes of his career and averaged just 7.9 points per game last season for the NBA champion Warriors, who were looking to trade Lee to limit the team's luxury tax hit next season. Lee is due about $15.4 million in the final year of his contract, while Wallace is owed about $10 million next season. David Lee is one of five Warriors to average 16pts/9reb in his career, joining Wilt Chamberlain, Nate Thurmond, Neil Johnston & Jerry Lucas. 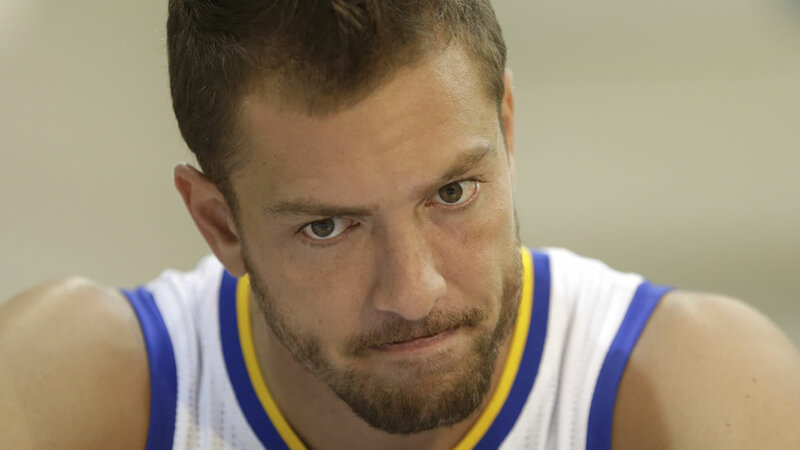 David Lee ranks sixth on the Warriors' all-time defensive rebounds list (2,176) and tied for 10th in field goal percentage (.513). "On behalf of the entire Golden State Warriors organization, we thank David Lee for his contributions both on and off the court over the last five years," Warriors general manager Bob Myers said. "Throughout his time with the Warriors, David was a great player, competitor and presence in our locker room as well as in the community and was a stabilizing force during a period that saw many positive changes within the organization. Most importantly, he leaves Golden State as an NBA champion. We wish him nothing but the best in the next chapter of his career." The Warriors believe Wallace could fit in well in their versatile defense, where players routinely switch positions. The 6-foot-7 forward, who was an All-Star in 2010 with Charlotte, played sparingly for the Celtics last season. Wallace averaged 1.1 points and 8.9 minutes in 32 games - both were career lows, as were his totals for the season of 11 assists, 57 rebounds and 286 minutes. It's unclear if there's a role on the Warriors for Babb. He has played mostly for the Maine Red Claws of the NBA Development League the past two seasons. Good luck to @JustHolla7 and @Dlee042 ! Great, great team mates. Teach the Celtics "pot" Dlee !!!! My friends from Boston please take a good care of my big bro @Dlee042 it was a pleasure to get that ring with you man #AlwaysReady!!! @Dlee042 You still a champ forever Brody! Much luv! Sad to see my bro DLee go but couldn't have asked for a better vet! Wishing you the best on your new journey.